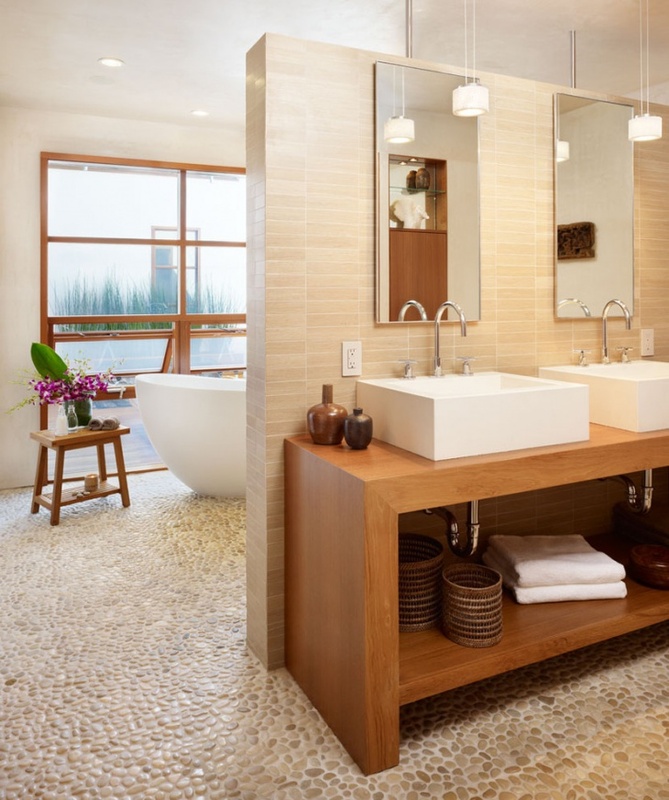 Designing the floor of your bathroom with tiles gives you a myriad of possibilities to create a statement with your bathroom. 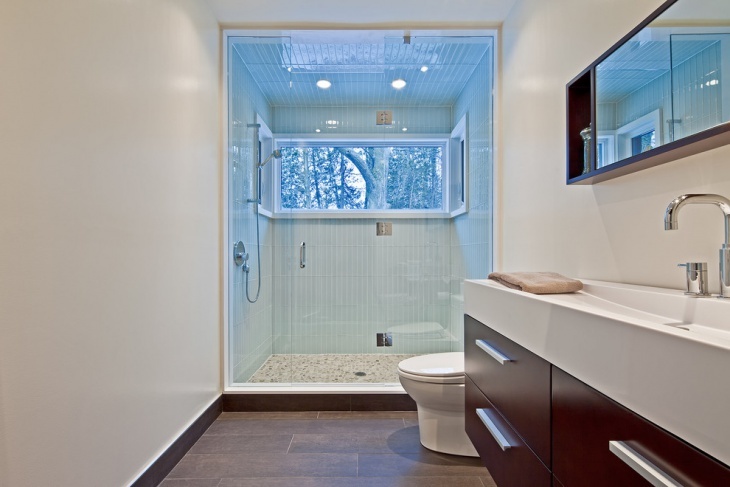 With an appropriate tile floor design, you can partition the room, create some point of focus or design some path. 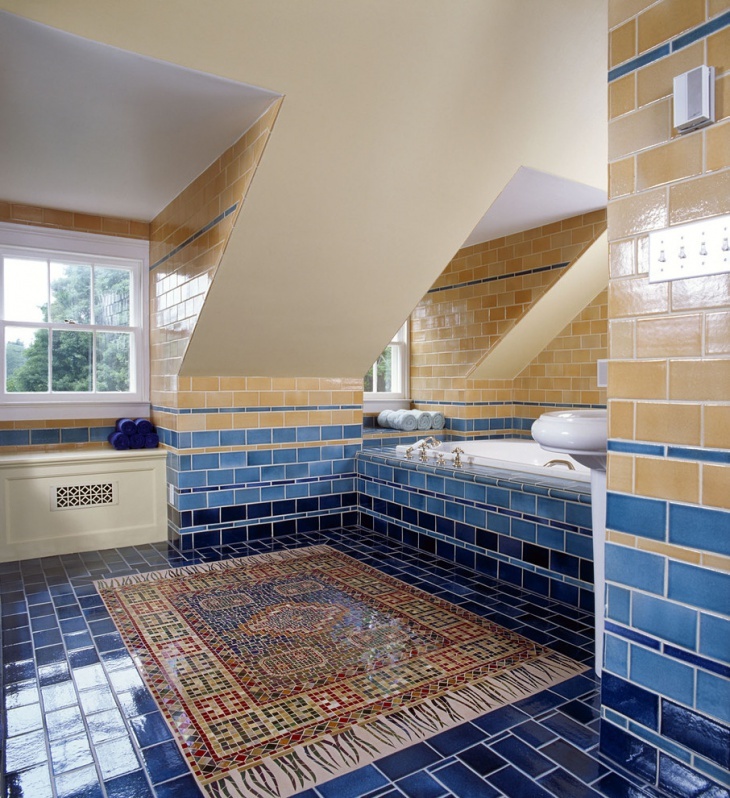 By contrasting assorted kinds, sizes and shapes of tiles, you can come up with a unique, breathtaking style. 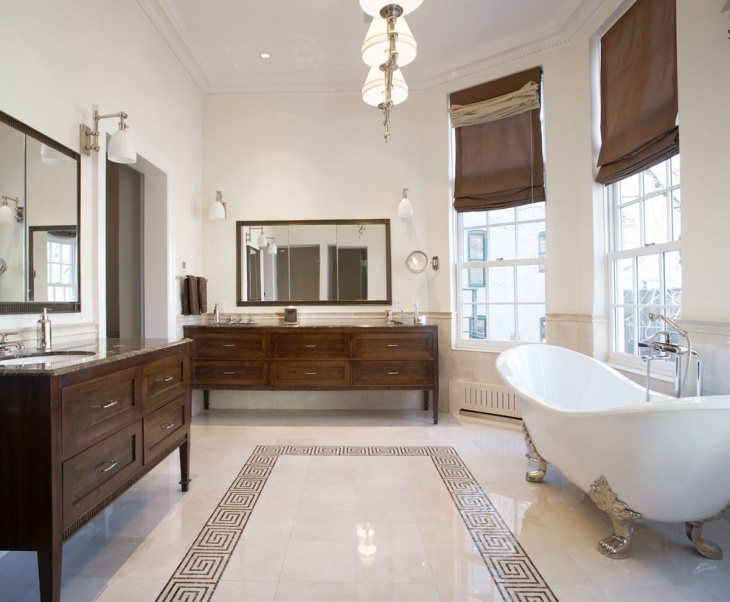 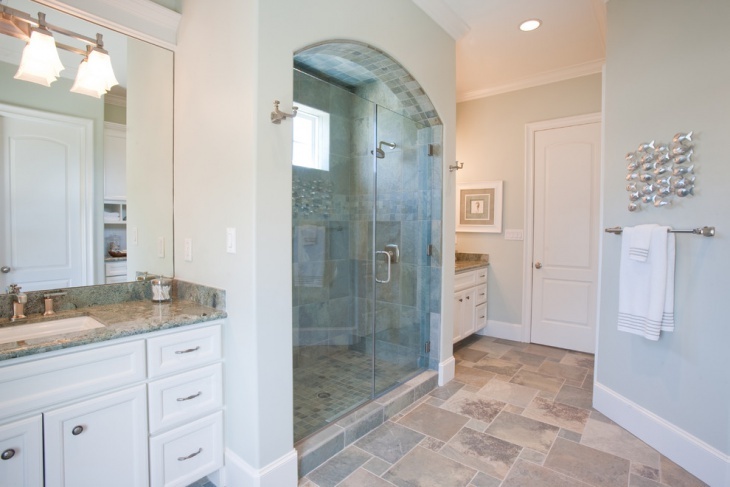 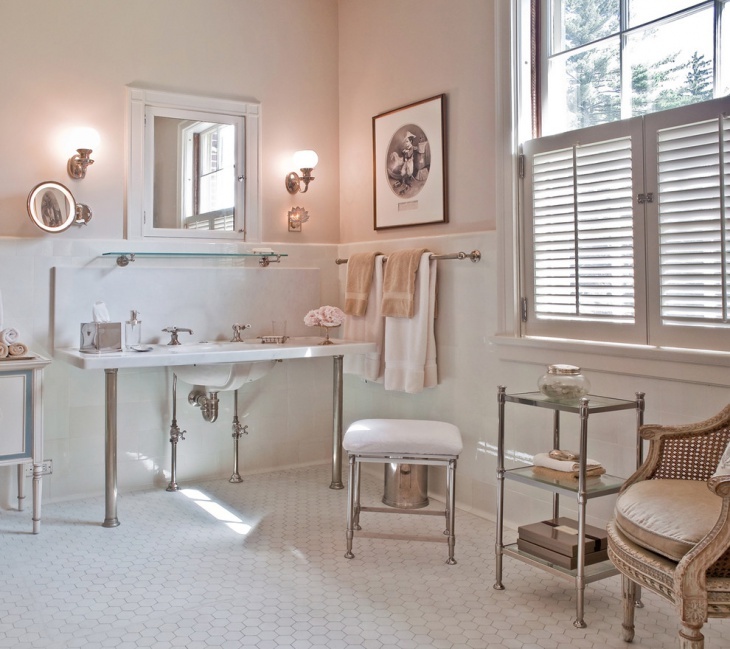 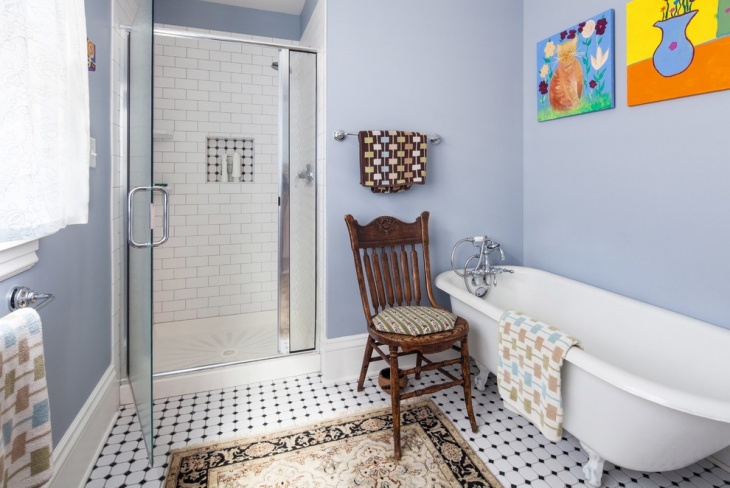 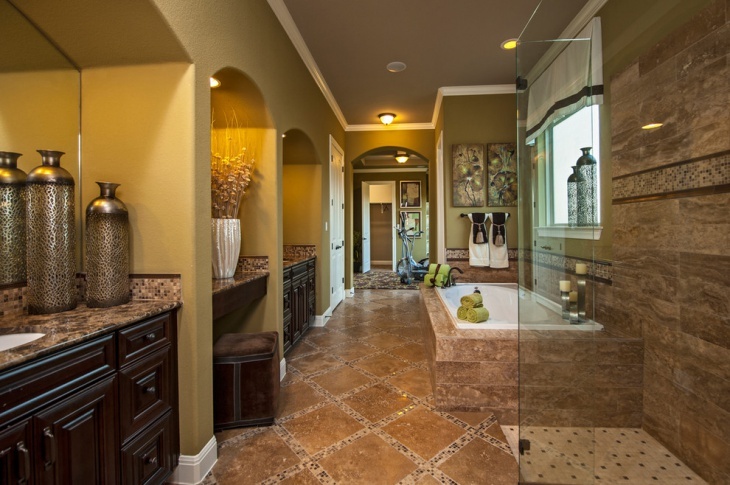 Tile designs that define different spaces of your bathroom floor are quite common. 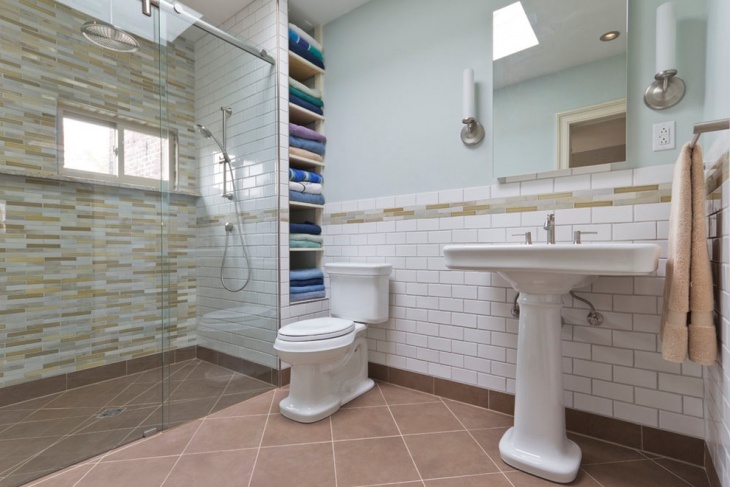 This may involve using differently colored tiles to define bath tub and shower pan separately. 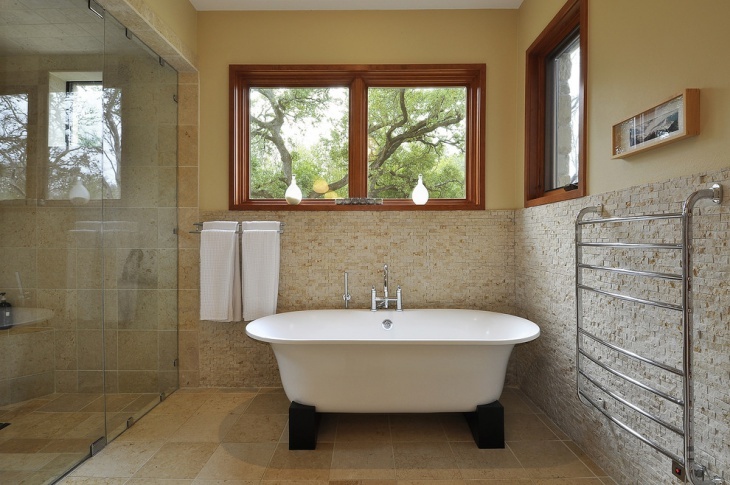 Pebble tile designs come with the advantage of adding texture on your floor. 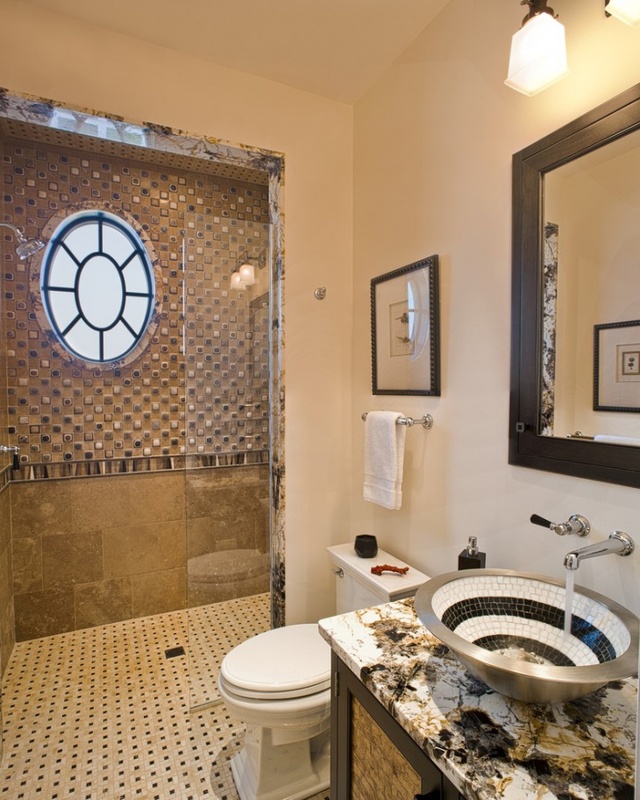 A design with some ornamental tile border around the room, bathtub, vanity, etc can create very captivating look. 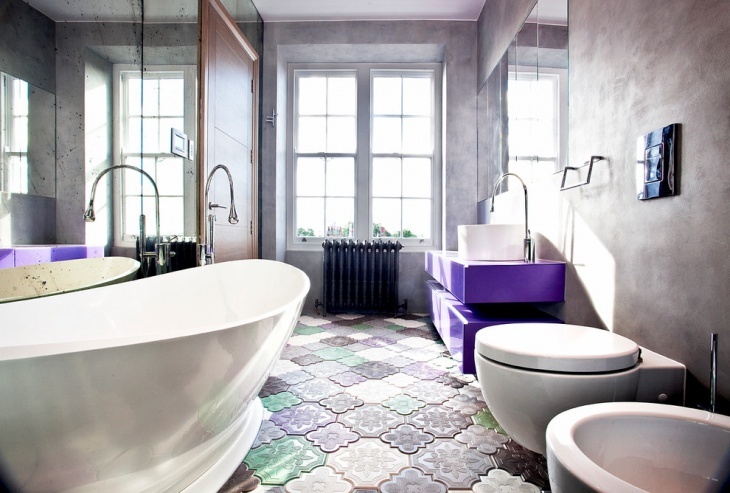 Tiles arranged in the form of a framework at the centre of your bathroom floor are great looking. 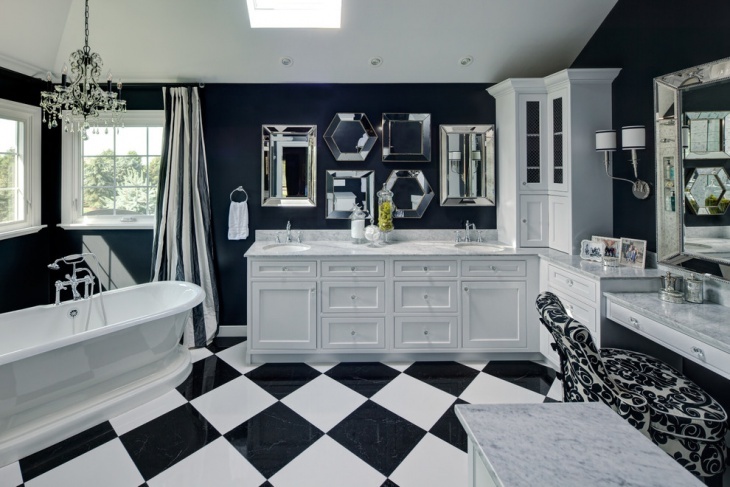 Such a design creates the impression of an attractive tile rug. 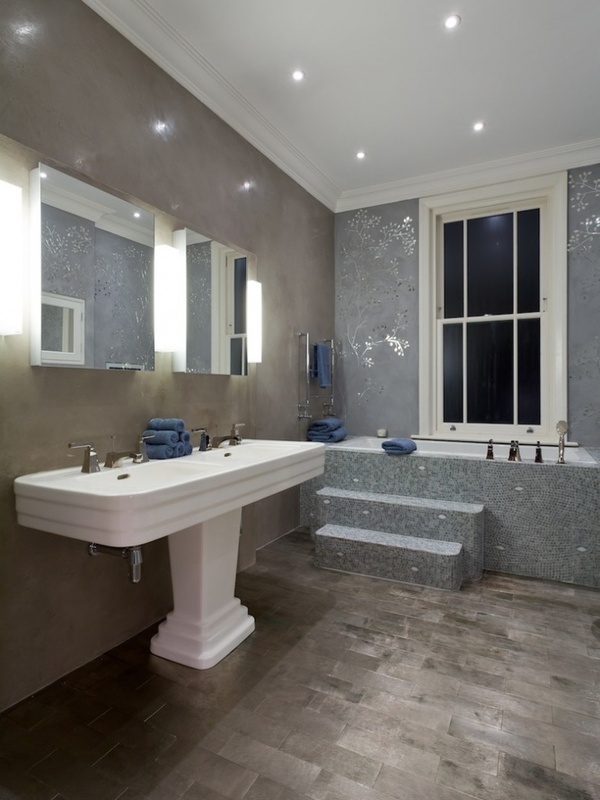 Bathroom floors with luminous marble tiles look quite gorgeous especially when paired with colorful glass tiles on the walls. 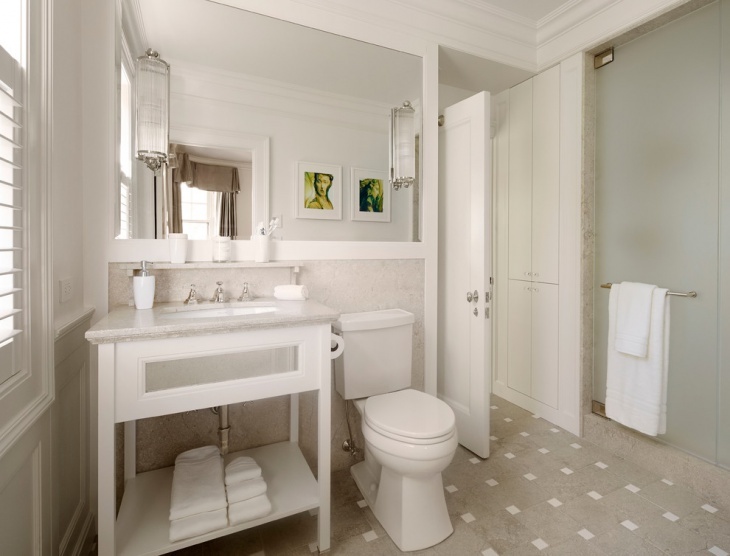 White marble tile floors come with an exhilarating classical appeal. 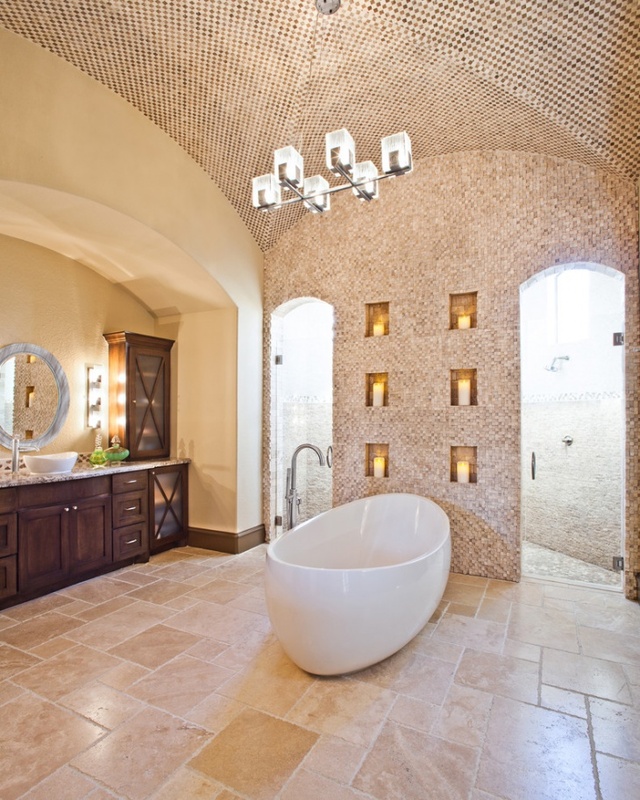 Generous bands of mosaic tile designs can create a dramatic textural effect. 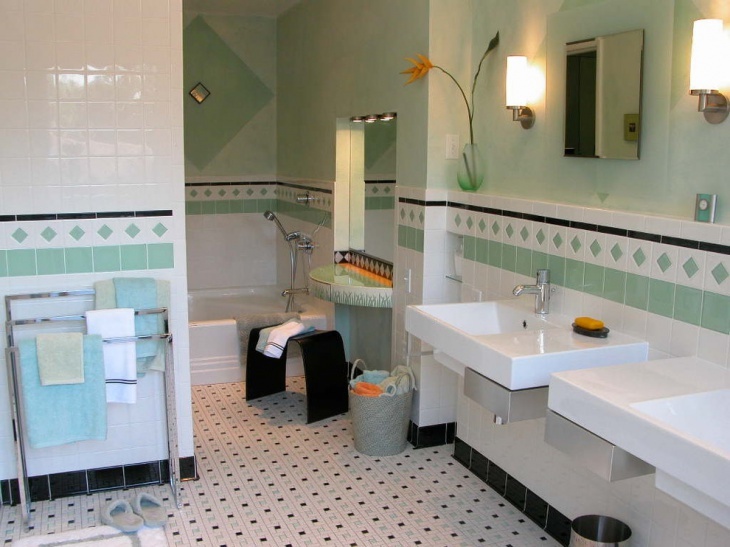 Careful selection and blending of colors and styles can create quite sophisticated designs.